The worst fears of the fans and staff have been confirmed. 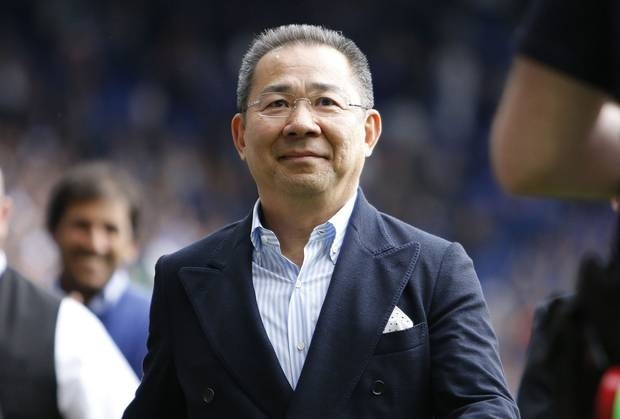 Leicester City Football Club has announced the death of their Chairman, Vichai Srivaddhanaprabha. After long hours of speculations, the club said on Sunday: "It is with the deepest regret and a collective broken heart that we confirm our chairman, Vichai Srivaddhanaprabha, was among those to have tragically lost their lives on Saturday evening when a helicopter carrying him and four other people crashed outside King Power Stadium. None of the five people on-board survived." The statement described the chairman as a "a man of kindness, of generosity and a man whose life was defined by the love he devoted to his family and those he so successfully led." 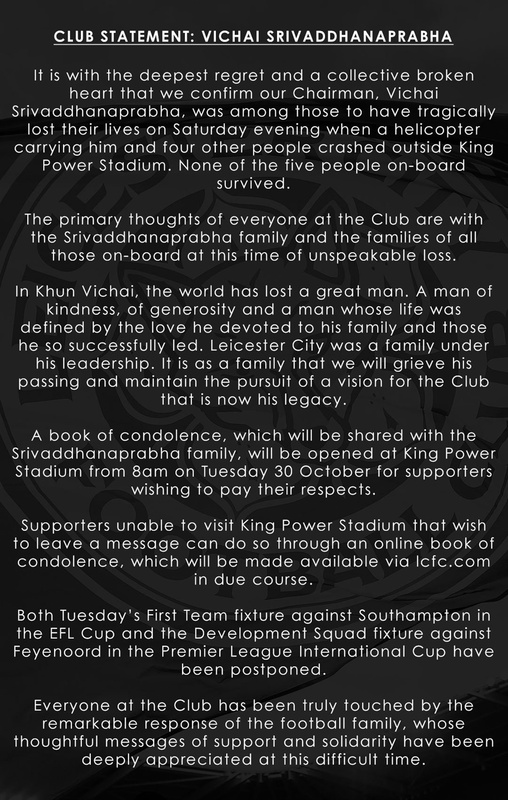 The club said a book of condolences will be opened at the King Power Stadium starting at 8 a.m. Tuesday, October 30.